Yes, Street Roots is a unique publication in Portland, but we are part of a global movement of alternative and advocacy journalism called street papers. 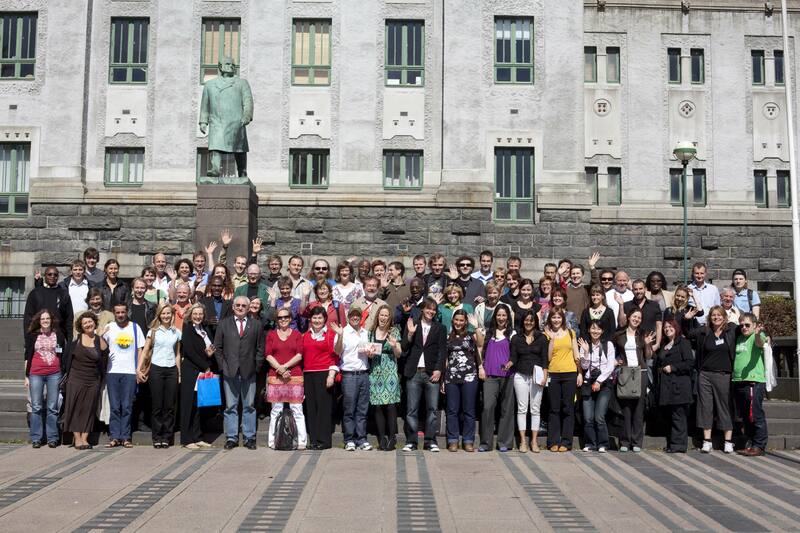 Earlier this month, street papers from around the globe conferenced in Bergen, Norway, celebrating the 15 anniversary of the International Network of Street Papers. On every continent on earth, street papers are providing local poverty solutions just like Street Roots, with vendors earning a dignified, flexible income through sales, writing and participation. But equally important is the work each paper is doing to inform readers about economic and social inequality, and bringing people together to create a more just environment for everyone. From May 13 to 17, Bergen’s street paper Megafon hosted about 90 delegates from street papers around the world, engaging all of us in training sessions, roundtable discussions on ethics in journalism and workforce development, and simply networking with fellow papers doing remarkable work and making change in their own communities. From the International Street Film Festival to progressive approaches to journalism to products and benefits we can offer to vendors, the conference provided many great ideas for Street Roots. The week of workshops and discussions were highlighted by the INSP Awards for outstanding journalism. It was an evening to celebrate the best of street journalism with many supporters of our work, including representatives from Thomson Reuters and Inter Press News, as well as local dignitaries. 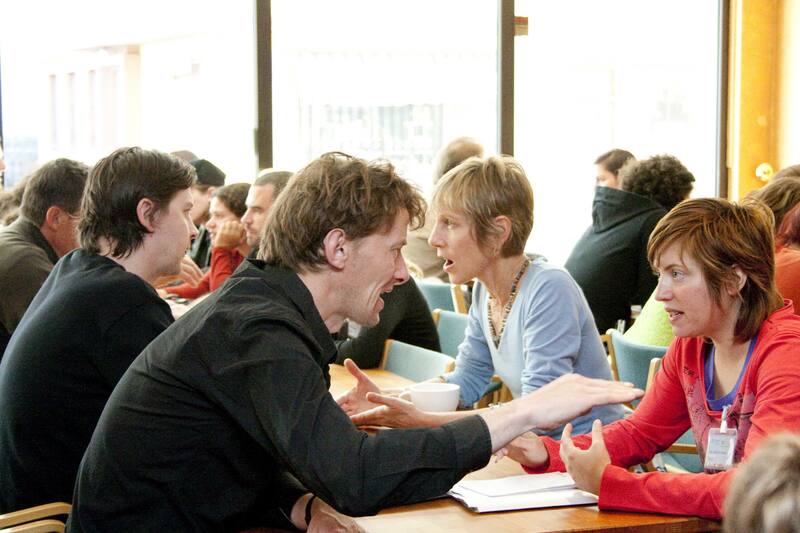 The competition is judged by an international panel composed of award-winning journalists. Two papers in North America were honored at the evening. Sean Condon with Megaphone in Vancouver, B.C. received the external press award for his piece in The Tyee newspaper advocating for the rights of the homeless and poor. Ahmad Kavousian, also with Megaphone, took top honors for best photograph, and Gregory Flannery with Street Vibes in Cincinnati received the award for best feature writing. Look for these pieces and photographs in the upcoming edition of Street Roots. 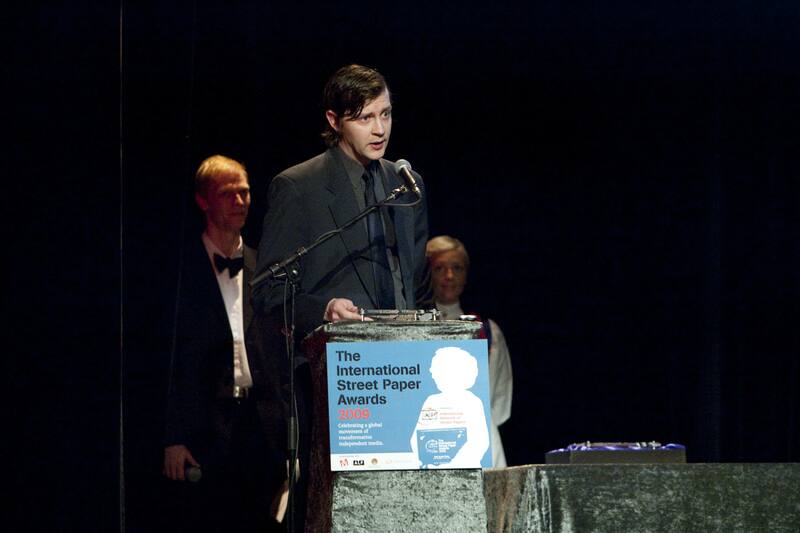 For my part, I participated in a panel of journalists discussing the future of street papers for the next 15 years. While the challenges facing journalism and major media houses was well represented in our discussion, the emphasis for me was the quality of the journalism street papers are producing, working to create more progressive reporting that seizes on the sense of urgency within our readers. We are the rising news source for more and more readers with each edition, at a time when the news story of the decade is poverty and homelessness. This is our expertise and we have to get better and smarter at how we fill the void left by years of bankrupt news coverage from the major houses and gutted newsrooms from the fallout on Wall Street. If we can do that, we have another powerful 15 years ahead.